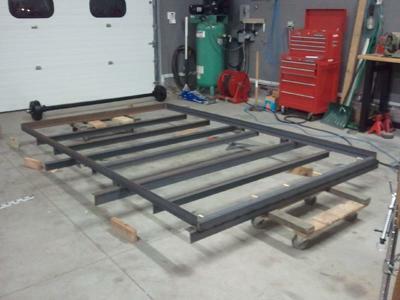 A utility trailer build: 6' - 4" x 10', 3500 pounds. I just bought a Millermatic 211 mig welder and needed a project to try out the machine. Seeing I own a zero turn mower, I thought I would fabricate a utility trailer to transport it. The trailer took me about two weeks to build and I used two 10 pound spools of .035 welding wire and about 800 pounds of steel. This utility trailer 6'- 4" x 10'. 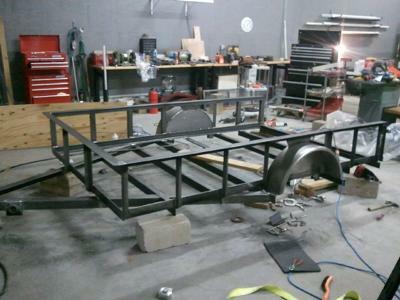 Picture 2: Mid point of build, tongue and fenders are on. Comments for Utility Trailer Build! The gross weight is mostly determined by the axle and tire rating. 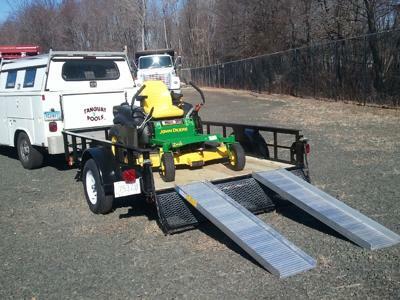 Also, in Connecticut, you must have either electric or hydraulic brakes on the trailer when the gross weight is over 3000 lbs. (It might be even a little less than that) Check with your local state specifications first. I am curious how the total weight that the trailer can handle is calculated? Is it just based directly from what wheels/axle/suspension via manufacter or is there more to it? I bought the plans from trailerplans.com and they were well worth the twenty something dollars I paid for them. I modified the tailgate and made the sides 18" high instead of 16". I also added the ramp carrier under the trailer. 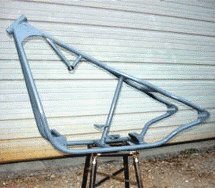 From trailerplans.com, you can also buy the fenders, lights, and axle package. 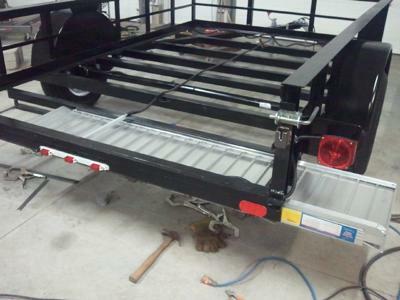 Thank you for posting your photos of the utility trailer build. It looks awesome! Did you use a plan or did you just figure out what to do? 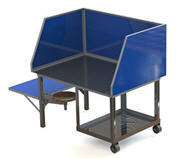 I especially like how you did the ramp storage. Being the lazy sumbitch that I am, I just advertise for free derelict travel trailers. Strip them down, sell the aluminum and appliances, give away the insulation then put a deck on the resulting frame and running gear. Usually costs me zero in the end and I sell them for $1200-1500. As an old time welder using my own dollar I have learned to be both lazy and cheap. Good job on the trailer; nice planning and execution.